In June 2006 South Canterbury experienced its heaviest snowfall in decades. Power lines collapsed under the snow’s weight, and electricity was cut to hundreds of rural homes. Many were without power for weeks. 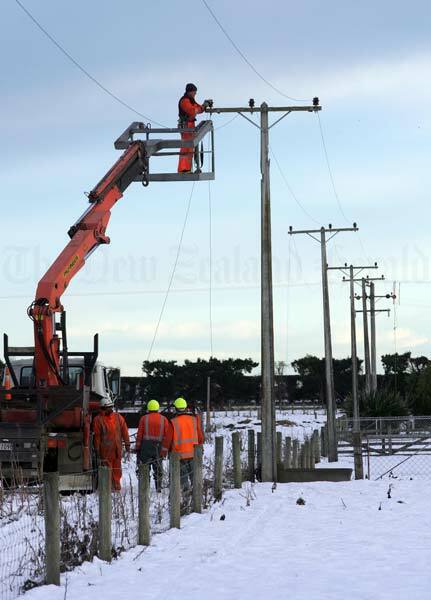 These linesmen are working to reconnect supply to Seadown, near Timaru.